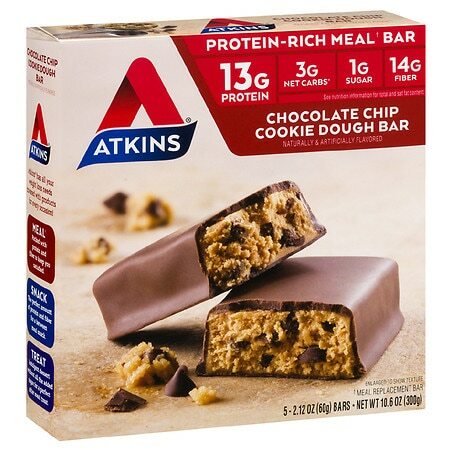 Atkins Advantage Meal Bars Chocolate Chip Cookie Dough - 2.1 oz. 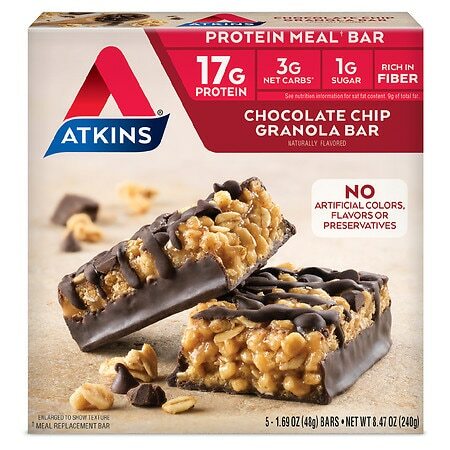 Atkins Advantage Meal Bars Chocolate Chip Granola - 1.7 oz. 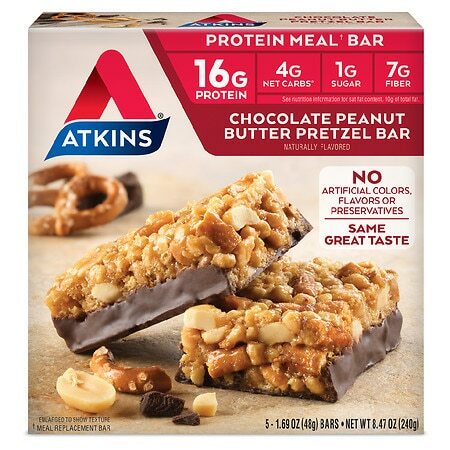 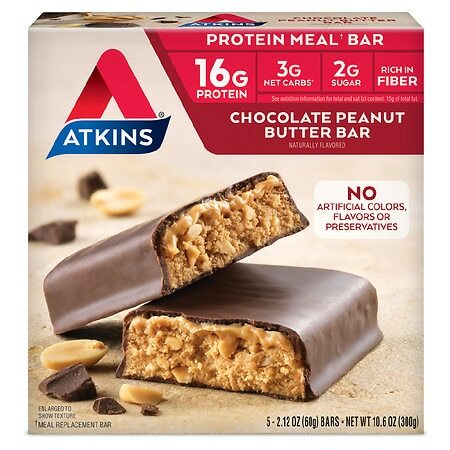 Atkins Advantage Meal Bars Chocolate Peanut Butter Pretzel - 1.7 oz. 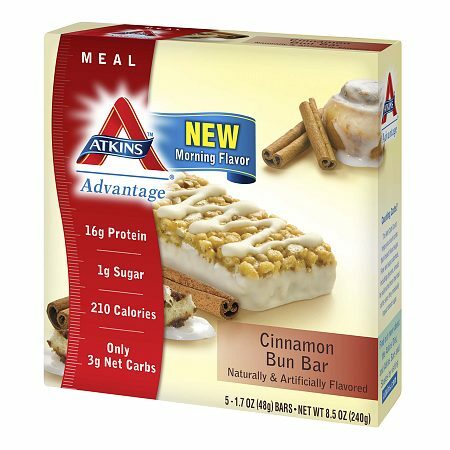 Atkins Advantage Meal Bars Cinnamon Bun - 1.7 oz. 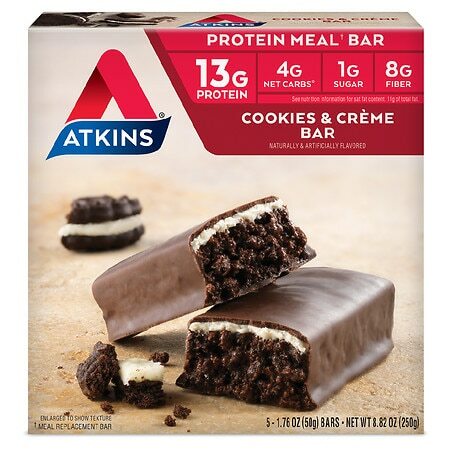 Atkins Advantage Meal Bars Cookies n' Creme - 1.7 oz. 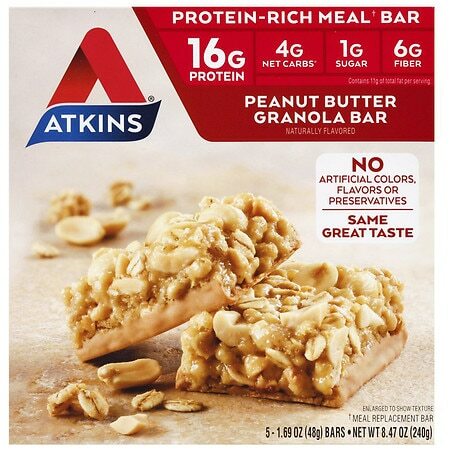 Atkins Advantage Meal Bars Peanut Butter Granola - 1.7 oz. 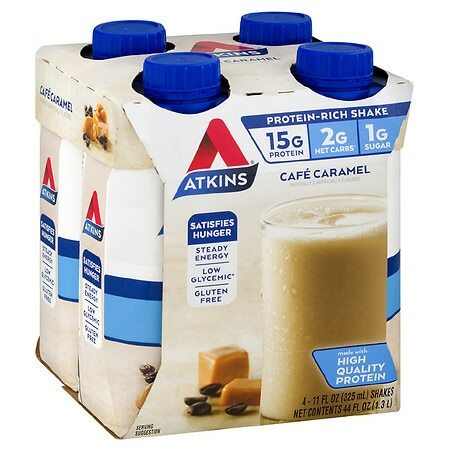 Atkins Advantage Shakes Cafe Caramel - 11 oz. 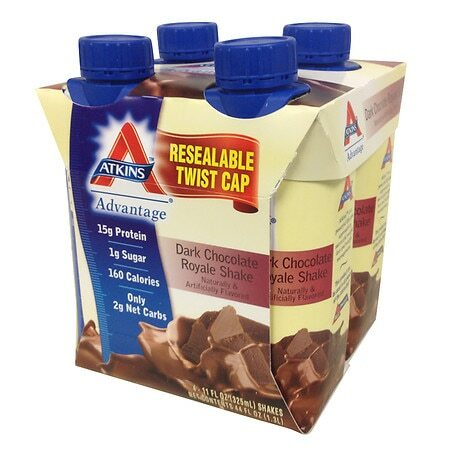 Atkins Advantage Shakes Dark Chocolate Royale - 11 oz. 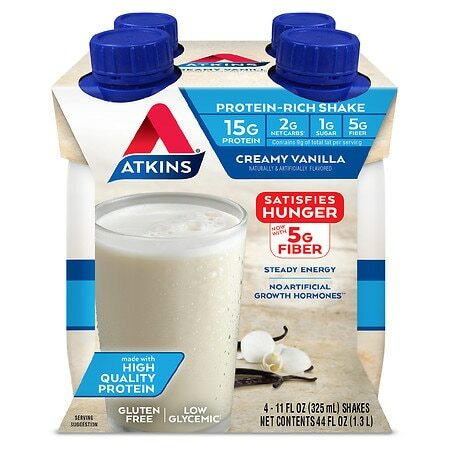 Atkins Advantage Shakes French Vanilla - 11 oz.